How We Test Air Purifiers - Which? 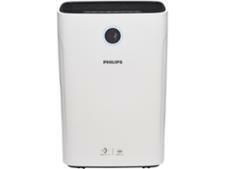 Air purifiers are fans with filters attached. Air is sucked in and passed through the filters to capture particles floating in it. Our air purifier reviews clearly show which models you can rely on to clean the air in your home quickly and effectively, removing particles such as dust, smoke and pollen. We’ll also show you the models that are best avoided. How well does it remove allergens, such as dust, smoke and pollen from the air? How many polluting particles are captured? Which size of room is it best suited to? How noisy is it on full and low power? Are the filters easy to remove and replace? If it comes with a smart app, how easy is it to use? 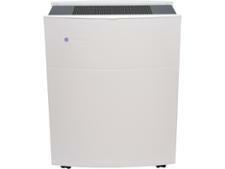 Only the models that top our tests in each of these areas join the ranks of our Best Buy air purifiers. 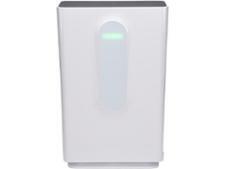 How well does each air purifier remove allergens, such as dust, smoke and pollen from the air? We test each air purifier with particles of pollen, smoke and dust to measure the clean air delivery rate (CADR) of each machine. This measures the reduction of particles in the air. How many polluting particles do air purifiers capture? We calculate the percentage of particles removed by the machines and compare this with the particles that are naturally removed from the air with the machines switched off. The best air purifiers will remove more than 90% of the particles used in our tests. The worst remove significantly fewer. Which size of room it is each air purifier best suited for? From the CADR scores measured for smoke, we work out the size of room that each model would be suitable for. And our results led us to question some of the manufacturers’ claims about how effective their machines are, and the size of room you can use them in. How noisy is the air purifier on full and low power? One in ten air purifier owners we spoke to told us that their machine affected their sleep. So, we test models on their highest and lowest settings so you’ll know which ones are the least likely to disturb you. We measure the sound levels and use an expert panel to listen out for irritating noises. Are air purifier filters easy to remove and replace? We remove and replace the filters on all of the air purifiers we test to see which ones are easy to pop out, and which are a struggle to remove. If the air purifier comes with a smart app, how easy is it to use? We check how easy it is to connect the smart app to the air purifier and then set the machine from the app. We check whether all of the functionality of the purifier is available through the app and assess how easy the app is to use. 75% the score that air purifiers need to become a Best Buy. All of the assessments above contribute to making up a total test score, which is the overall percentage figure we give to each air purifier. Some tests are more important than others in determining just how good each air purifier is, so carry different weightings. For instance, we think that particle removal is more important than ease of use or energy use, because an air purifier’s main job is to clean the air. An air purifier needs to earn 75% in our rigorous tests to become a Best Buy. Are Dyson Hot and Cool fan heaters worth it?